In the cluttered universe of Indian obsessions, the amateur cricketer is a singular figure. You cannot be an amateur Bollywood actor, for instance, so you cannot know, even in a vague, shrunken way, what it is like to mock-fight goons who rush you from every point of the compass. We have no amateur politicians, although we have plenty of amateurish ones. There are no amateur temple priests, no amateur IIT-IIM students, and no amateur drivers of Indian Railways locomotives. These are hermetic little worlds, the participants and their experiences sealed well away from their observers. Cricket is different. Not to suggest, of course, that the amateur batsman knows what it's like to look up from his stance and see Curtly Ambrose, eyeballs afrenzy, bearing down upon him, or that the amateur bowler is familiar with the woebegone feeling of running into AB de Villiers out on a maraud. But in the pick-up game on a side street in Meerut, or the early morning battle on Marina Beach in Chennai, or the match in a probables camp in Patna, or the Ranji Trophy semi-final in Kolkata, there are sustained periods that burn with the best sensations of Test cricket. A field is pondered and set, a bowler stalks to the top of his run-up, a batsman prepares. Sinews stiffen. Nerves come alive. No multimillion-dollar pay cheque may depend on the result, and only the neighbourhood loafer may be watching, but the electricity of the contest is pure and true. I'm lumping an awful lot of cricket under the rubric of "amateur", and Ranji Trophy stalwarts will grumble at my classification of their feats alongside those of beach-cricket warriors. I use the word in its deepest etymological sense: a person wedded to a pursuit primarily out of a love for it. India has not been a kind country to cricketers - and indeed to any athletes - playing below the international level. The weather, for one, tries to swelter sport out of existence for most of the year. Playing fields are bumpy, hard or altogether absent. Equipment is, for many, many people, expensive. Administrative bodies are punchlines. The competition can be fierce enough to be disheartening. Fame is as dim a prospect as fortune. Under these circumstances, it should be difficult to call up any enthusiasm to play cricket - and yet, for millions of people, it isn't. Clearly, all you need is love. Love is, not surprisingly, the animating sentiment in the memoirs of such cricketers, books that present the small cog's view of the large wheel. They might all really be called, in the fashion of Nirad C Chaudhuri, Autobiography of an Unknown Cricketer, except that that title was snaffled in 1996 by Sujit Mukherjee. Indeed, this was what V Ramnarayan, the former Hyderabad offspinner, wanted to call his 2014 book; he settled for Third Man. For a book that ranges over Ramnarayan's career, Third Man is a smart name, alluding not to the fielding position but to the fact that, in the estimation of himself and others, he was India's third-best offspinner, kept out of the national side only by the giant skills of Erapalli Prasanna and Srinivas Venkataraghavan. But I prefer the layered semantics of Mukherjee's title: the insistence upon identifying himself as both a cricketer and unknown, and the near-passive-aggressive belief that an unknown cricketer can in some way be exemplary, that his story holds some essential significance. "I long postponed this book because I believed no one would be interested in the story of a cricketer who did not play for India," Ramnarayan writes. It was an understandable misgiving. Few people even watch cricket that is not played by India - by the national team or, lately, in the Indian Premier League. Possibly it is too hard: too much cricket to watch, too arduous to trudge to a sun-seared stadium, too many other things to do. But there is also a mistaken sense that at its lower levels cricket is not yet fully formed, that its features are indistinct and its actions reflexive, and that we must wait for it to be birthed by superstars. Ramnarayan wrote Third Man only upon the urging of his friends. "Every cricketer has a story to tell, they believe… So here I go." Ramnarayan began playing cricket in the 1950s in near-idyllic circumstances, amid a tumble of brothers and cousins, and across the acreage of three adjoining family houses in south Madras. So many family members were cricketers of one sort or another that Ramnarayan can pick a squad of 14, dropping any relatives who lived more than a couple of kilometres away. A few played in the Ranji Trophy, and one earned a "Well bowled!" from Douglas Jardine when a touring Marylebone Cricket Club took on a Madras XI. Ramnarayan's childhood was a blur of school games and cricket camps - a time of a sweet, unpressured accretion of cricketing mettle, of skills working their slow way into limbs and muscles. If he applied himself, a young man could get plenty of cricket in Ramnarayan's Madras: for informal teams on corporation grounds, for school, college and university, for clubs across several league divisions, and possibly for a state XI. Ramnarayan fills this life in with a welter of particulars, rattling off names of forgotten players and recapping the odd game. Two full pages describe a friendly between his club Jai Hind CC and a Jolly Rovers side starring Salim Durani, in which Ramnarayan is able to remember that he went in at No. 9 and made an unbeaten 15 or so. People are routinely described as "characters" and boiled down to their quirks: Chama, who "cycled everywhere, singing all the while… was a walking compendium of Subramania Bharati's poetic works," or SV Suryanarayanan, who "addressed everyone as Vadyare, a typically working class usage that literally meant 'Teacher', somewhat in the manner of 'Boss' in English". A short way into Third Man I began growing impatient with the messiness of these details, and with Ramnarayan's inability to distinguish between the important and the trivial. But I learned, by and by, to regard it all as a faithful transcription of his memories. The book could still have used a strong editor, but if your guard is down, it is easy to be swept along in the tumult, to treat it as a reflection of the joyous chaos of youth cricket itself. Ramnarayan affectionately describes the low-rent atmosphere of these games: the shade of a large tree serving as a dressing room, lunchtime ransacks of Udupi eateries, "glasses of unboiled, unfiltered and often multihued water stored in mud pots… that resembled relics dug out by archaeological expeditions", equipment in such sparse supply that a batsman only wore a single pad. These matches drew audiences, remarkable even then but inconceivable today. More than a thousand people attended league games, and a paying crowd of 30,000 digested every delivery of a Ranji Trophy contest. In team selections in Tamil Nadu, Ramnarayan found himself stymied at every turn by Venkataraghavan, only two years older but already a cool, gifted personage of the Test side. So Ramnarayan moved to Hyderabad, where he worked and played first for State Bank of India and then Andhra Bank. Just before he turned 30, he entered Hyderabad's Ranji Trophy side, for whom he would take 86 wickets across a five-season career, playing alongside titans of style like the Nawab of Pataudi Jr, ML Jaisimha and Abbas Ali Baig. There are no YouTube videos of Ramnarayan bowling, but photographs show a textbook side-on action, eyes squinting over left shoulder, left hand masking the ball gripped in the right. In a chapter of self-examination, mysteriously tucked away towards the book's end, Ramnarayan writes that he possessed "an arsenal of sharp off spin, faster deliveries, floaters and leg-cutters, not to mention the occasional outswinger". 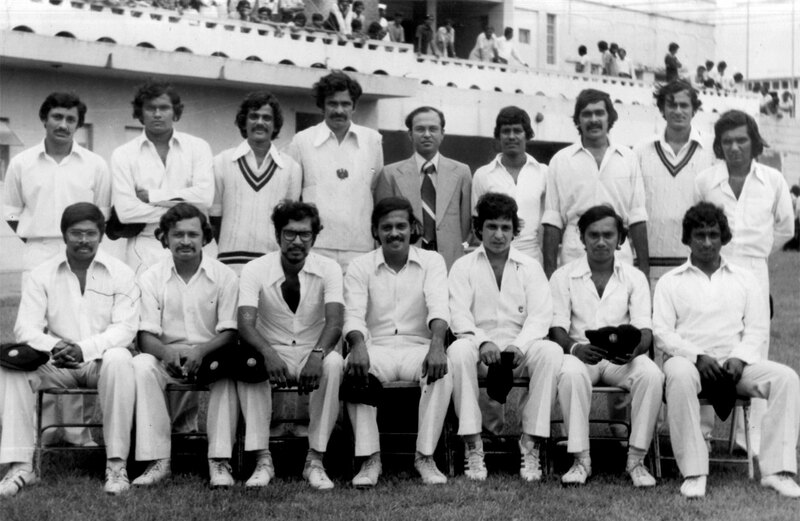 These weapons carried him into the probables for India's tour of Australia in 1977-78, and then no further. A peculiar tension courses through Third Man, one that I imagine is hard to keep out of memoirs by any cricketer who hovered around national selection without quite making it. Ramnarayan is torn between genuine modesty and a need to announce his worth. In one particularly conflicted sentence, describing a friend, he writes, "he was my mentor and admirer as well, though I was never in any doubt that the admiration was rarely deserved". He is both basking and demurring. Although he provides us with ample reasoning for his inability to break into the Test team - including primers on the superior talents of Prasanna and Venkataraghavan - he cannot escape the sense that an injustice has been done to him. He recalls the dramas and slights of selection with bitterness, even if they date back to the sepia times of collegiate cricket. Third Man is a book written by a man who, above all else, regrets desperately that he was never second or first. No such tension is to be found in Mukherjee's Autobiography of an Unknown Cricketer, because although he played five matches for Bihar in the 1950s, amassing a total of 79 runs, he was nowhere within shouting distance of Test selection. 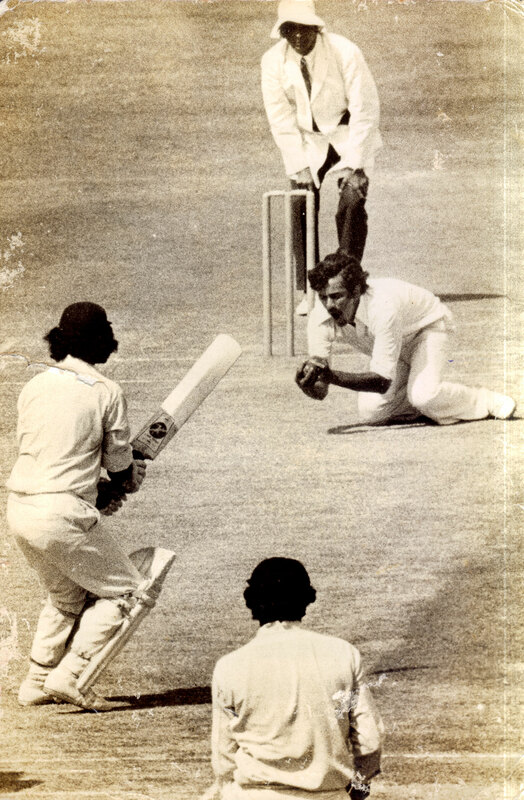 "Mukherjee was an earnest cricketer with some talent, but not a great deal, who wanted to be better, but perhaps not quite enough," Gideon Haigh once noted. The failings of Mukherjee the cricketer seem to have liberated Mukherjee the writer. He feels no compulsion to explain away his lack of success, so his autobiography can devote itself, heart and soul, to the exuberance of a life lived for the game. It is one of the best cricket books ever written. 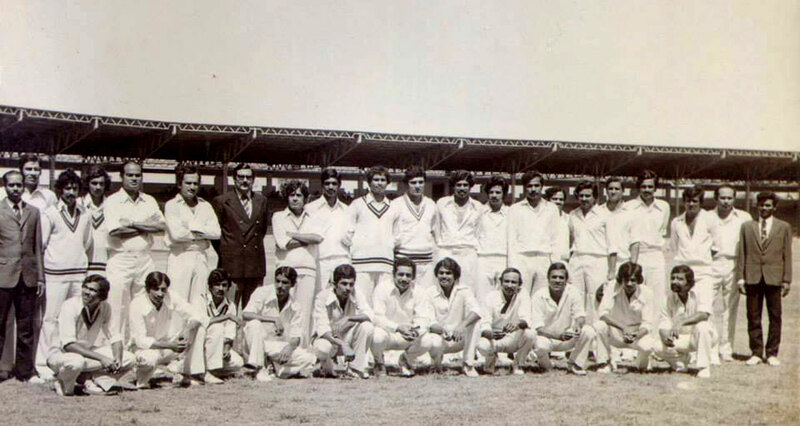 Mukherjee grew up in Patna in the years before Indian independence, when there was no competitive school cricket to speak of. At St Xavier's, however, he happened into Father Kevin Cleary, a cricket-mad priest who took charge of the school team and its calendar. "Umpiring, coaching, exhorting, admonishing, Father Cleary occupied our cricket afternoons and evenings." Cleary cuts a figure of utter romance, and Mukherjee recognises him as the classic amateur, of the sort without whom no sport can hope to flourish. "He played in a match, if not as a man of God, certainly as a preceptor of the game - always playing not so much for his own good or even for the good of his team but for the greater good of cricket itself." The temptation is mighty to keep quoting Mukherjee, for the delight of his writing and the wisdom of his thoughts. Indulge me for the space of a paragraph. Mukherjee on the utility of self-help in the lower tiers of cricket: "If there was a doubt as to how well the pitch would be rolled before a match, well, the thing to do was for the team to turn up at least half an hour before the game and use the roller to full purpose." On the loyalties of the Patna sports fan, typically a bidi or paan seller or a cycle-rickshaw commander: "to them, a sweaty footballer was many times more glamorous than a sweatered cricketer". On lasting four balls against a young Bengali quick: "Had he been of quicker pace, one would have had less time to think and thus been compelled to bat instinctively. But three times I looked for the ball everywhere, and three times my bat was nowhere near the ball as it swung in, pitched and whisked away." On the experience of a small-town side playing away in a metropolis: "The only plus point is that when a team loses - as we duly did - it passes practically unnoticed. Big-city life contains too many daily defeats for one more, and that too at cricket, to be noticed." 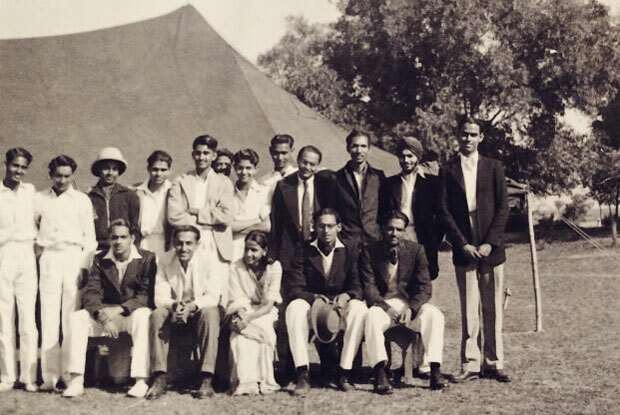 In many vital ways, the lives of journeymen cricketers in Mukherjee's time are not so different from those in our own. Raucous teams rode packed train bogies to away games, played in brutal heat on suspect pitches, and returned home. 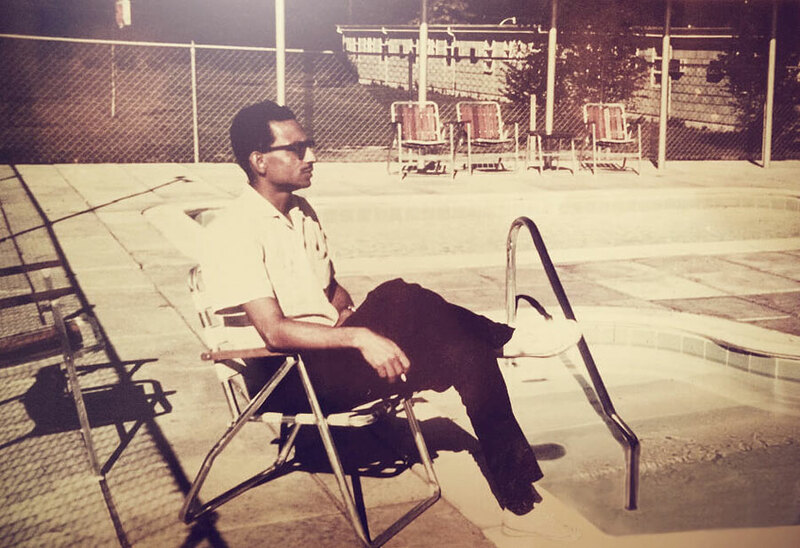 Mukherjee held down a day job, as a college lecturer, but he strained for more cricket. He ran up repeatedly against his own limitations; on the odd occasion, he encountered a master like CK Nayudu, and the gulf between their talents must have stirred in him a small, secret sorrow. His hopes for playing at a higher level did not so much dwindle as get sharply extinguished. When work took him afar, to Philadelphia, he felt impelled to find some cricket of any sort. After his playing days, he gained a second wind in the academic study of literature, just as Ramnarayan has as the editor of a classical-music journal - and yet, however fine these fresh careers, they could still feel like enforced exiles from best-beloved cricket. The question of why Mukherjee played cricket is also the question of why any of us play cricket, and the answer is that it isn't about the cricket at all. There is, of course, divine satisfaction to be gained from sublimating physics into art, a perfect drive urged through the covers or a legbreak past a dithering bat. But the cricket field was where the rest of Mukherjee's life coalesced. Every player experiences a different cricket, unique to himself, shaped by his ability but also by his character and his life. Mukherjee's love for the game's history, his insecurities about his poor eyesight, the anxieties and aspirations of hailing from Patna, the camaraderie of his colleagues, the thrills and worries of his nation's earliest years - all these his cricket absorbed, and grew richer for it. At however modest a level he played it, he revelled in making the sport his own. Mukherjee understood this, I suspect, in a way that Ramnarayan didn't, or perhaps he arrived much later at the realisation. The saddest pages of Third Man come towards its end, when Ramnarayan describes how, long after he retired from first-class cricket, he hobbled on in the Tamil Nadu leagues, "deriving perverse pleasure from doing reasonably well - mostly on one good leg - against younger opposition… I was 49 when I played my last cricket match, and I had already overstayed my welcome by a few years". Sport has little time for ageing lovers. Still, to have played at all is the thing. The parallels between cricket and life are legion; here is one more. They are both pursuits into which it is best to dive wholeheartedly, to participate rather than to coolly observe. That is when they are at their most nourishing, their most invigorating. "A heady mix of memory and desire is what cricket… is all about," Mukherjee writes. "And no memory can be more vivid, no desire more enduring, than those embodying the cricket one has seen and known and played oneself."